The right to inspect and review the student’s education records. A student should submit to OSSM’s Office of the Registrar a written request that identifies the record(s) the student or parent wishes to inspect. The registrar will make arrangements for access and notify the student of the time and place where the records may be inspected. The records will be made available within a reasonable period of time. If circumstances effectively prevent the student from exercising the right to inspect and review the education records, OSSM will provide a copy of the requested records or make other arrangements for the student to review the records. The right to request amendment of the student’s education records that the student believes are inaccurate, misleading, or otherwise in violation of the student’s privacy rights. A student who wishes to ask OSSM to amend a record should write to the Registrar clearly identify the part of the record the student wants changed, and specify why it should be changed. OSSM will decide whether to amend the record within a reasonable time after receiving the request. If OSSM decides not to amend the record as requested, the Registrar will notify the student in writing of the decision and the student’s right to an inquiry regarding the request for amendment. Additional information regarding the inquiry procedures will be provided to the student when notified of the right to an inquiry. The right to provide written consent before OSSM discloses personally identifiable information from the student’s education records, except to the extent that FERPA authorizes disclosure without the student’s consent. One instance in which student records may be disclosed without prior consent of the student is when such records are disclosed to officials of OSSM whom the school has determine to have a legitimate educational interest. A school official is a person employed by OSSM in an administrative, supervisory, academic, or support staff position, (including Campus Security, Health Services and Counseling Center personnel). A school official may also include a person or entity with whom the school has outsourced services or functions which it may have otherwise used OSSM personnel or officials to perform (including attorneys, security services, internet service providers, or other service providers retained by the school). An individual serving on the OSSM Board of Trustees or a student serving in an official capacity, such as on a disciplinary committee may also be deemed a school official. 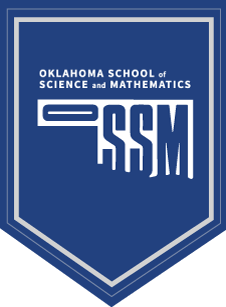 An OSSM official has a legitimate educational interest if the school determines that access to the record is needed in order to fulfill the official’s responsibilities to the school. Another instance in which the school may make disclosures of educational records without student consent is when responding to a requests by officials of another school in which the student who is the subject of the records is seeking or intends to enroll, or where the student is already enrolled so long as the disclosure is for purposes related to the student’s enrollment or transfer. Records maintained by Campus Security, Dean of Students or the Director of Residential Life. Records relating to a student which are created or maintained by a physician, psychiatrist, psychologist, or other recognized professional or paraprofessional, acting in his/her professional capacity or assisting in a paraprofessional capacity; made, maintained or used solely in connection with the provision of treatment to the student; and disclosed only to individuals providing such treatment.